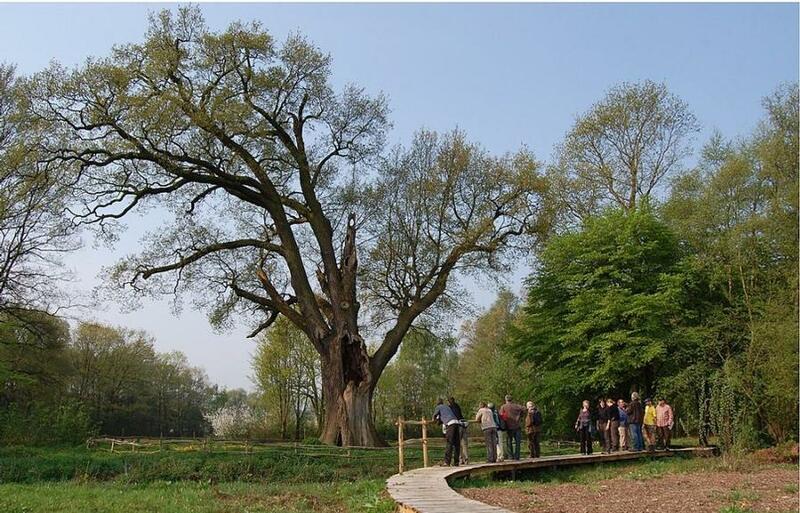 A Leader funded oak conservation project from Belgium's Flanders has focused on a 'heritage tree' as a tool for encouraging rural residents to participate more in countryside conserve activity. Trees are awarded cultural value in many parts of the European countryside and certain trees receive special protection as heritage monuments.Historic trees are known as Living Heritage (Levend Erfgoed) in the Flemish language and they form part of the Flander’s region’s cultural landscape. 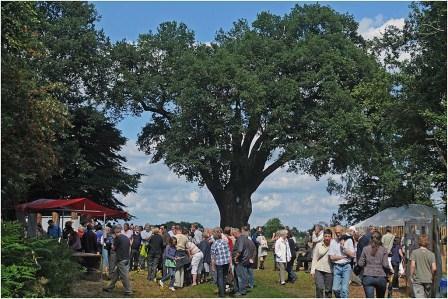 The RDP project channelled its support towards a Living Heritage tree in the province of Limburg,where an old pollarded oak (called locally the ‘1000 year old oak’) is growing. Despite its cultural relevance to the regional landscape, the old oak and hundreds of other pollarded oaks that were discovered in the area had fallen into neglect. The RDP project was therefore established to reverse this decline and also use the ‘1000 year old oak’ as a rural development tool for promoting involvement in actions of landscape care by rural residents. The project succeeded in its objectives to improve the conservation status of the region's oak trees and outcomes from the awareness raising activity have helped local people understand the need for improved care for their rural environment. Heritage assets can be used as a focus for securing public participation in rural development projects.